Proline guitar stands protect and stabilize guitars of any type. You can rest assured that your guitar is safe and secure. 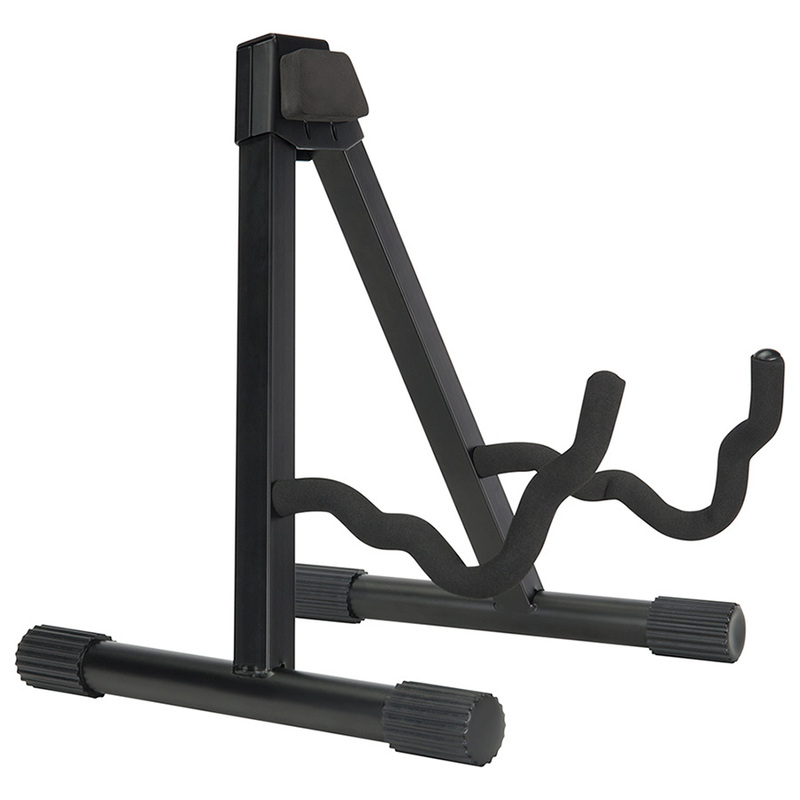 Proline guitar stands are engineered with a distinctive angle for better balance and support. With Proline, your guitar is always safe. 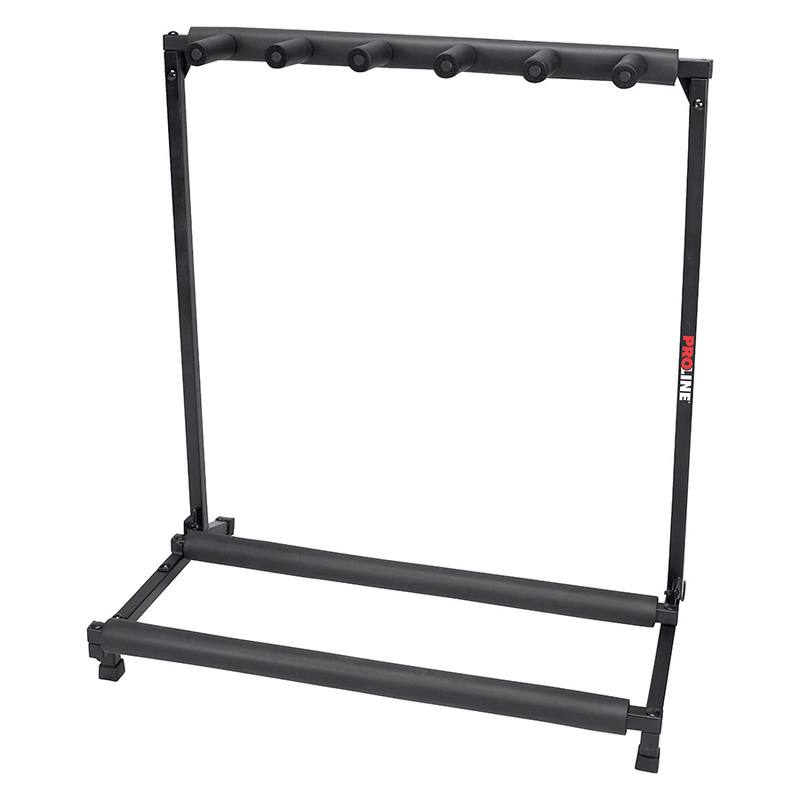 The “Securi-T” Series guitar stand features a quick and easy locking yoke mechanism that safely secures your instrument while not in use. Easy to open, and snaps your instrument securely into place, removing any chance of accidental falls. 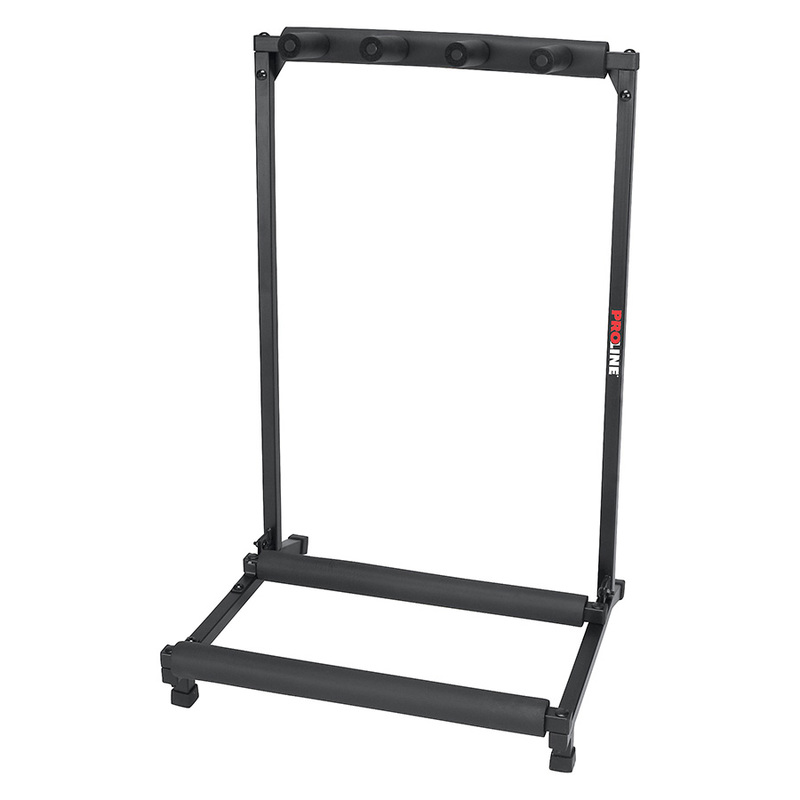 The unique Proline HT1052 “Securi-T” Series guitar stand features a quick and easy locking yoke mechanism that safely secures 2 guitars while not in use. 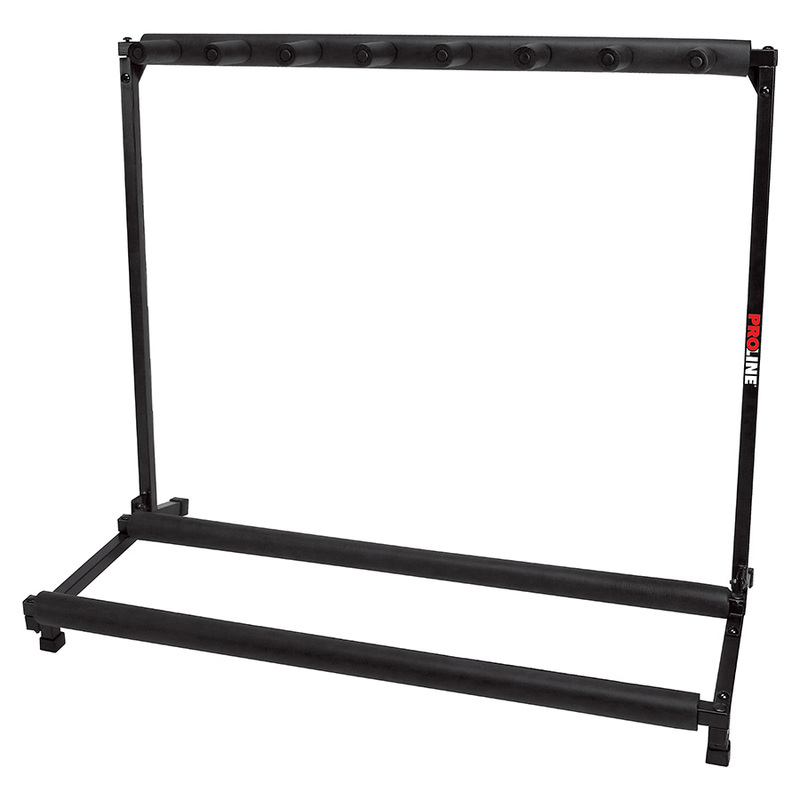 The unique Proline HT1053 “Securi-T” Series guitar stand features a quick and easy locking yoke mechanism that safely secures up to 3 guitars while not in use. With arms that fold for ultra compact size, the FS100AE is designed to fit acoustic and electric guitars. 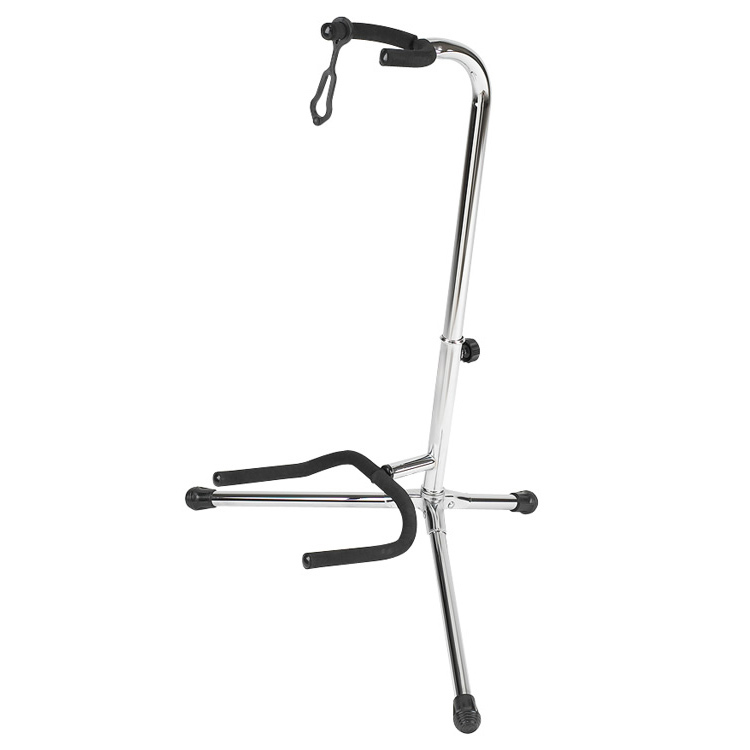 The slide-resistant rubber feet hold stand in place and protective foam cradles your instrument. With a top hinge design that allows the stand to fold flat, the FS200AE is designed to fit both acoustic and electric guitars. 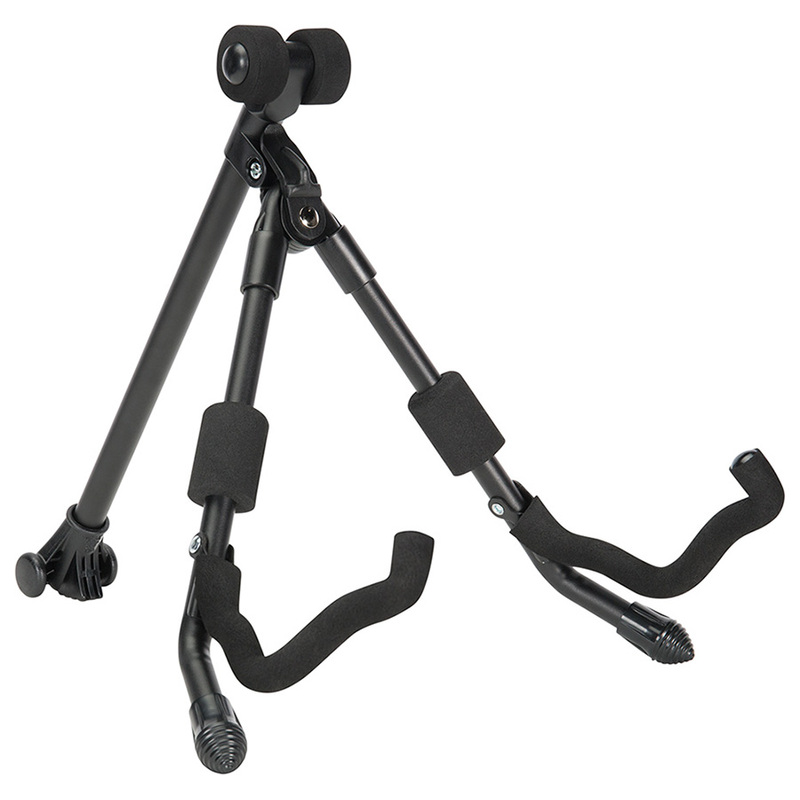 The slide-resistant rubber feet hold stand in place and protective foam cradles your instrument. Chrome guitar stand with padded cradles. Angled construction so your guitar sits securely. Fits almost any style guitar. Folds up for easy transport. 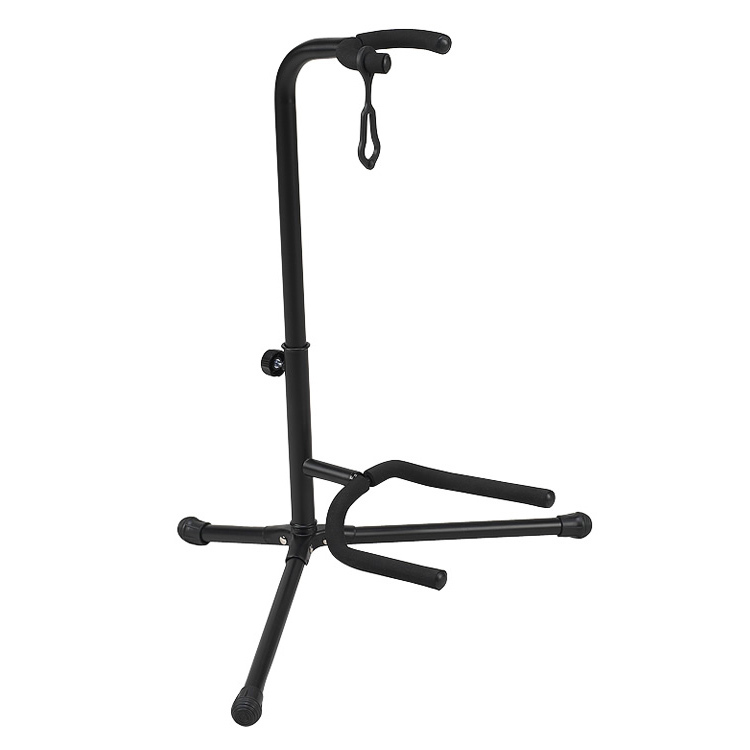 Black guitar stand with padded cradles. Angled construction so your guitar sits securely. Fits almost any style guitar. Folds up for easy transport. 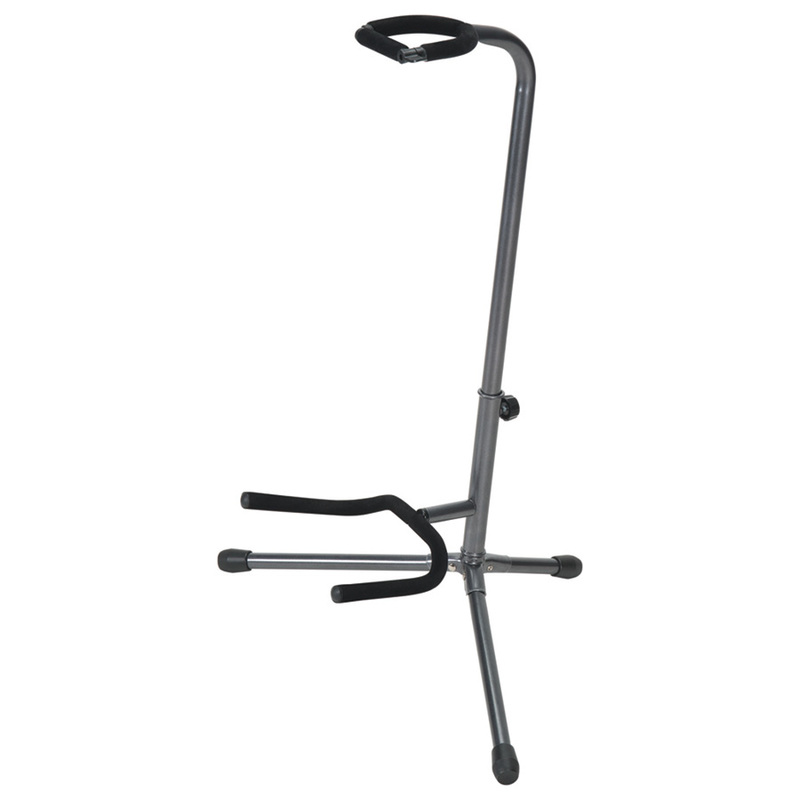 The Proline PLMS3 3-Guitar Folding Stand is simple, rock-solid stable, and it folds up for easy transport. Holds up to 3 of your guitars in scratch-proof safety at home, in the studio, or on stage. 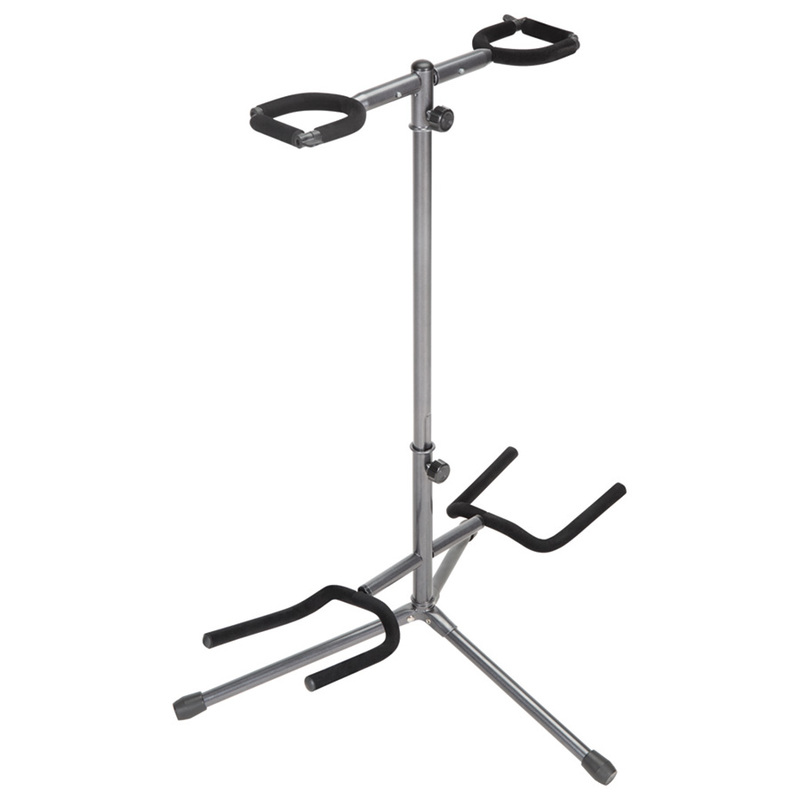 The Proline PLMS5 5-Guitar Folding Stand is simple, rock-solid stable, and it folds up for easy transport. Holds up to 5 of your guitars in scratch-proof safety at home, in the studio, or on stage. 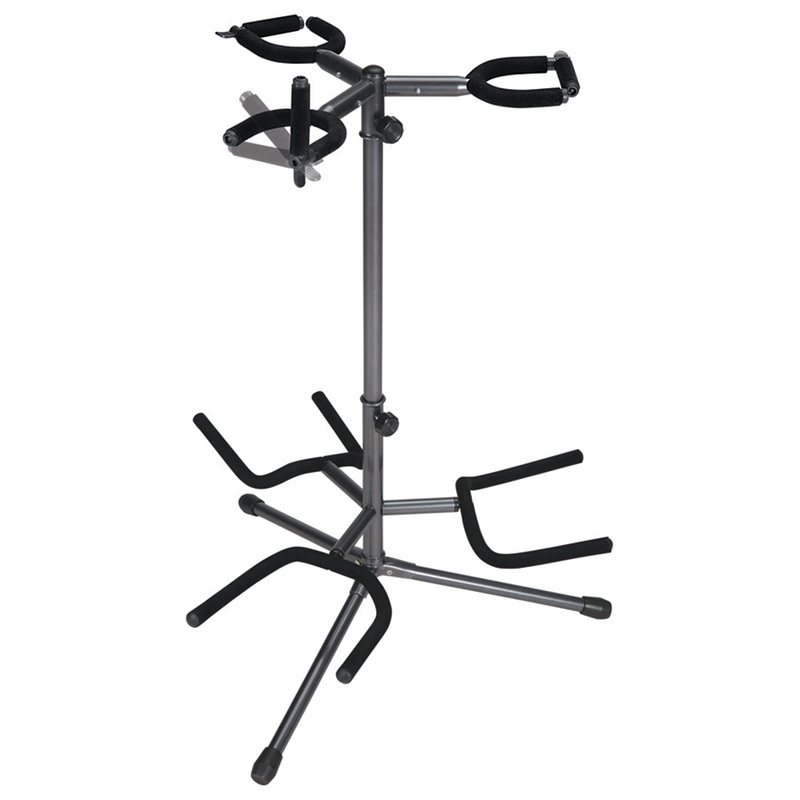 The Proline PLMS7 7-Guitar Folding Stand is simple, and rock-solid stable. 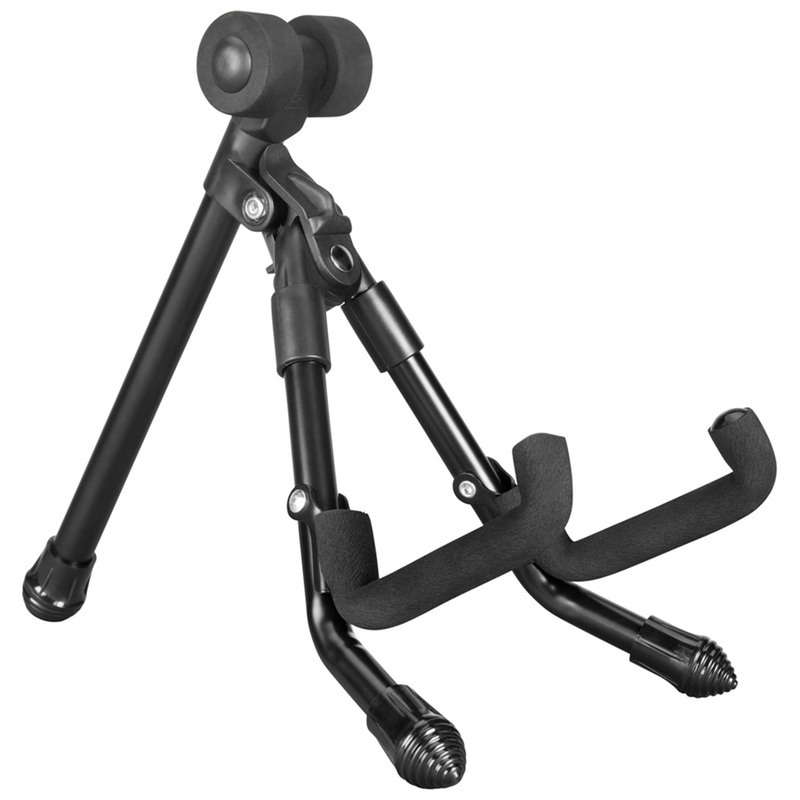 The stand folds for easy transport and holds up to 7 electric guitars safely at home, in the studio or on stage.